Art Beat, the daily blog of Davis & CO Fine Art Gallery. The Gallery will be closing it's doors August 27th. It is with sadness and hope for the future that we give you this news. We are taking this opportunity to spend more time with our families. Down the line, as the economy improves and our children have grown, we hope to see the day when our doors reopen and quality fine art will find its way to the masses through us once more. We have already begun shipping pieces back to the artists, so if there is a piece you've had your eye on do not delay! Thank you for making us the number one fine art gallery in Spring and the Woodlands! Hope to see you soon!! Pin It Expo this Saturday!! Join us Saturday, August 8th from 10-5 at the Marriott Waterway The Woodlands for the Pin It Expo Houston!! This event is the largest pop up shop in Houston! There will be creative DIY classes and over 150 unique vendors! Davis and Company will be there to showcase some of our one of a kind art. We will also have 5 of our amazing artist there during the day to do live painting demonstrations! Due to the expo the gallery will be closed for the day. We hope to see you there!! For more information on the Pin It Expo visit their website or blog. Two more paintings have found a home!! 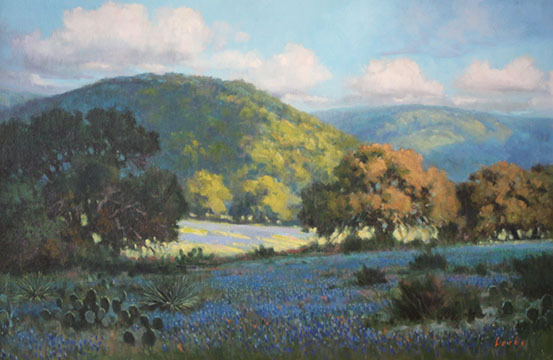 An Austin couple have purchased April Rhythms, Texas Hill Country by Niki Gulley and Oaks in the Valley by David Forks. They will be relocating to Washington DC soon and wanted some art to remind them of Texas. Congrats to all! This beautiful piece by Niki Gulley, Spring Forth, sold today! The Houston couple who fell in love with it, said they are excited to get it home and see where it wants to be hung! An eagle finds a home! Blaze of Glory by Sculptor Deran Wright has been sold today to a couple who were looking for a reminder of their time living in America! Congrats to them both! Another piece finds a home! Mentirita by Wanda Caro is the latest Davis & Co. piece to be sold! Congratulations!! This gorgeous piece by Gaylon Dingler has been sold! Congratulations to Gaylon and the collector who will be enjoying this painting for years to come!! Piece by Glennray Tutor has been sold!! This beautiful example of Photorealism has been sold to an avid Houston art collector! Cap Guns by Glennray Tutor is without doubt a piece to be admired! There are not two art movements further set apart from each other than Photorealism and Abstract Expressionism. In fact, the Photorealism movement began as a counter to the Abstract Expressionist and Minimalist art movements. Photorealism artists were inspired by the Pop Art movement and reacting against Abstract Expressionism. To learn more about the Photorealism movement click here. One of Davis & Company's elite artists, Glennray Tutor is considered to be part of the Photorealism art movement. Click here to read more about him. Another painting has found a home! Rusting Dreams by Arturo Samaniego has been purchased by a Houston art enthusiast! Congratulations to Rebecca Zook, who's painting, Grasslands II is the latest piece at Davis and Company to find a home! In November of 2006 Jackson Pollock's No. 5, 1948 and Woman III by Willem de Kooning were sold in private transactions. Pollock's was sold for $140 million and de Kooning's for $137.5 million making them the 2 most expensive paintings ever purchased at that time.They are now the 5th and 6th most expensive paintings sold. Mark Rothko's painting No. 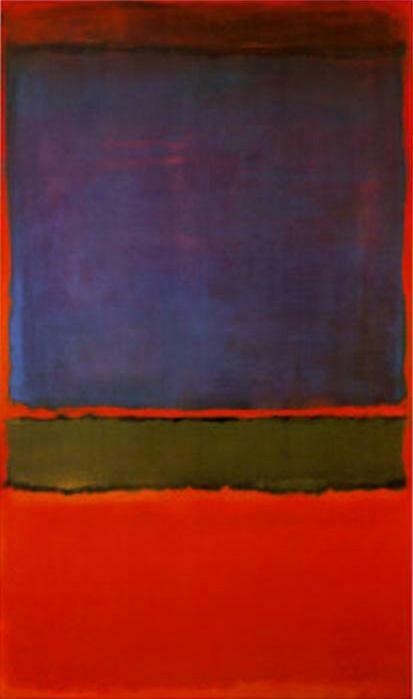 6 (Violet, Green and Red) became the 2nd most expensive painting after it sold for $186 million in August of 2014. It is currently in the 3rd spot after a painting by French post impressionist, Paul Gauguin, sold for $300 million in February this year. Beautiful piece by Helen Buck sold!